Gaming has grown out as a really big industry with many billion dollars spent on it. It is so entertaining that people often do not care much about spending decently on it. They get their money’s worth back so they are fine with it. How to Tell if CPU is Bottlenecking? Most of this money is spent on buying the gaming rigs. A high-performance gaming rig is necessary to support the high-end games that are being launched. The graphics and other factors needed to make a game run need a decent computing power. Most of these gaming rigs are made up of two main components; a CPU and a GPU. A CPU does the core computing jobs needed to make a game run and a GPU takes care of the graphical part of a game engine. Both these devices need to work together for a user to enjoy a smooth gameplay. Sometimes these two gets non-compatible and this is when a bottleneck occurs. Anyone who has experienced it will know how irritating CPU bottlenecks can be. The basic definition of a bottleneck, as its name suggests, is a phenomenon when too much data is sent to process to a processor that cannot handle that much data at the same time. Just like when too much water is flown into a bottleneck that is too narrow to let that much water in at the same time. What bottlenecks causes in the computer world are issues such as slower processing, decreased frame rates, frame drops, objects not rendering, programs crashing, etc. 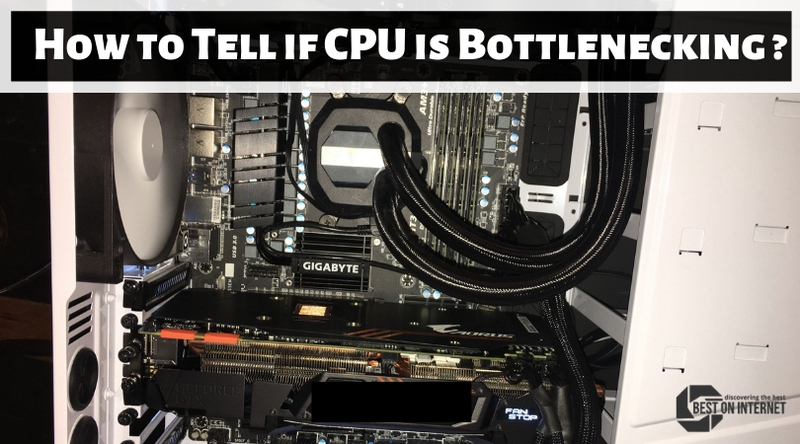 In this article, we will look into the two types of bottlenecks; CPU bottleneck and GPU bottleneck. We will also see what causes these bottlenecks and how they can be avoided. What is CPU Bottlenecking? How to tell if your CPU is bottlenecking? A CPU Bottlenecking occurs when a CPU cannot keep up with the data it is being given by the GPU or other components. The CPU suffocates with the extra load that is given to it, and this is visible in the performance of the game. Consider a gamer named John who built a gaming rig with an Intel i3 processor and stupidly enough, a GTX 1080 Ti graphics card. Maybe he got that card for free. The 1080 is a very powerful GPU that can run a lot of decent games smoothly. An i3 processor however, is an entry-level processor these days with all the advancements in processor technology. Therefore the poor i3 will suffocate with all the data being sent over by the 1080 and this will ruin the gaming experience for John since the CPU is supposed to do all the main game processing works such as physics, audio, actions etc. 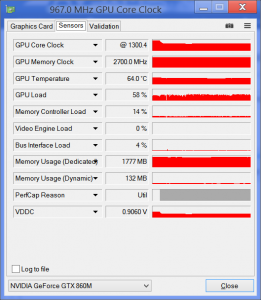 What is GPU Bottlenecking? Is my CPU bottlenecking my GPU? A GPU Bottlenecking occurs when a GPU cannot keep up with the data it is being given by the CPU or other components. The GPU suffocates with the extra load that is given to it, and this is visible in the performance of the game. Consider a gamer named Jane who just built a new gaming computer. She got a brand new Intel i7 processor as a Christmas present and she only had the money to afford a low-level Geforce GT 1030. One thing Jane did not take into consideration is that, while the i7 is an awesome processor, the GT 1030 cannot handle all the juice coming into it. Thus the awesomeness of the i7 has gone to a waste. How to detect CPU/GPU bottlenecking? Detecting bottlenecks is a very easy process. All you have to do is install process management software such as the MSI afterburner and keep an eye on the CPU and GPU stats while playing games. If your CPU is at 100% and your GPU is near 90, then a CPU bottleneck is occurring. If your GPU is at 100% and your CPU is near 90, then a GPU bottleneck is occurring. How to avoid CPU/GPU bottlenecking? The very logical thing to do will be changing your hardware to a compatible pair. This is of course, a costly solution. John needs to buy a better CPU and Jane has to find money for a more powerful GPU. Alternatively, John can increase the resolution of the game so that the GPU will take more time to process and the CPU will catch up. Other solutions include overclocking the GPU, killing background processes, overclocking the RAM, etc. So that is how you can say if your CPU is bottlenecking and deal with the issue. This is a common issue and needs to be resolved. Hope this article helped you.